The Bible tells us that, before the creation of Adam and Eve, there was in God's universe a being who had rebelled against God, his Creator. This being is called Satan or the Devil. Satan is not just an influence for evil. He is not a red demon with a pitchfork as he is often pictured. He is a very real being. There are two main passages in the Bible which tell us of the original position of Satan and how he became the enemy of God. These passages are Isaiah 14 and Ezekiel 28. Though angels are beautiful and powerful creatures, they are not to be worshipped for they are only created beings. Only God, the Creator, is to be worshipped. Since Lucifer was perfect in beauty, he was as beautiful as it was possible for a creature to be. Since he was filled with wisdom he was as wise as a creature of God could be. Of all the angels in Heaven, Lucifer was the wisest, the most beautiful, and the most powerful. …be like the most High." What was Lucifer's sin? His sin was pride. As this mighty angel considered how beautiful he was, his heart was lifted up with pride. Lucifer simply fell in love with himself! As he beheld himself, Lucifer decided that there was none so great, none so beautiful, and none so wise as himself; therefore, he decided that he should be God. He set his will against God's will. Five times Lucifer said, "I will." What a terrible thing it is for a creature of God to set his will against God's will! 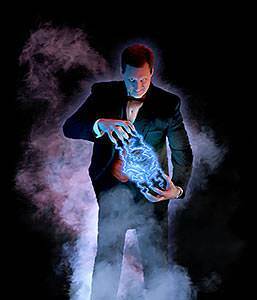 A great change took place in Lucifer's heart when he sinned. Before this time, Lucifer had loved God and enthroned God as King in his heart. Now Lucifer loved himself. He no longer chose to have God on the throne of his heart. Instead, he put Self on the throne. The sin of pride which began in Lucifer's heart led to self-love. His self-love led to self-will, and his self-will led to rebellion against his Creator. 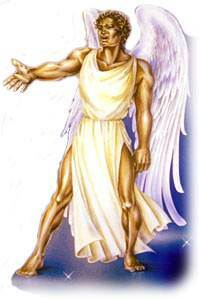 No longer was Lucifer content to be the highest angel under God. Now he wanted to be God! God saw what was in his heart and cast Lucifer down from his exalted position. 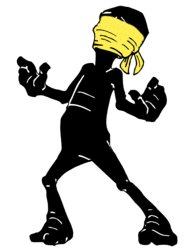 His name was changed from Lucifer (light bearer) to Satan, which means "adversary." Thus, Satan began his career of opposing God, and he has been sinning ever since. 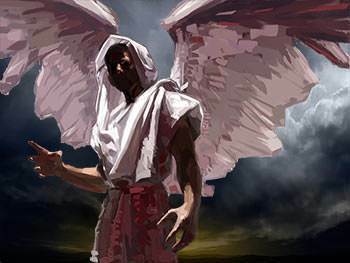 Satan was the first angel to rebel against God, but many other angels followed him in his rebellion. These angels are called "fallen angels" while those who remained true to God are called "holy angels." 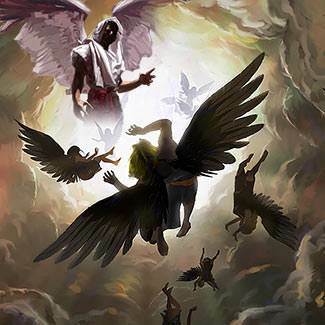 Satan, along with these fallen angels, set up a kingdom opposed to God and His kingdom. Ever since the time of Satan's rebellion, there have been two kingdoms in the universe—the kingdom of Satan and the kingdom of God. These two kingdoms are exactly opposite in character. 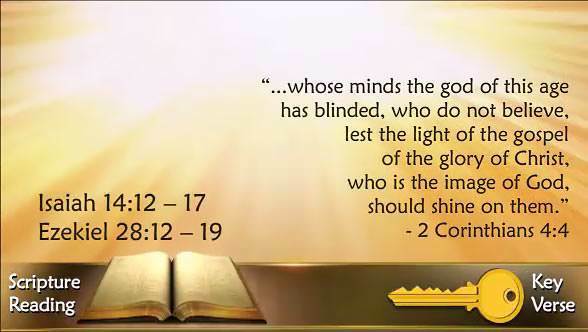 Satan's kingdom is the kingdom of darkness; God's kingdom is the kingdom of light. Satan's kingdom is the kingdom of lies, wickedness, and hate while God's kingdom is the kingdom of truth, righteousness, and love. Satan's subjects include fallen angels and all unsaved people. The angels who followed Satan in his rebellion against God are his subjects and serve him in his wicked purposes. 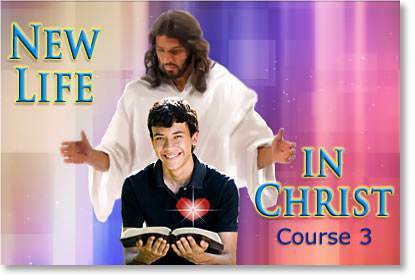 And all unsaved people are in Satan's kingdom whether they realize it or not. What is Satan trying to do? 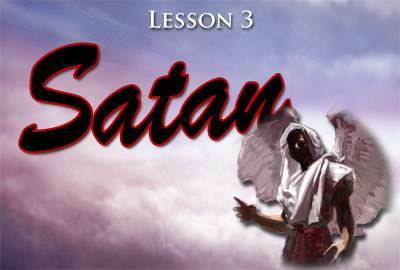 Satan wants to keep people from receiving Jesus Christ as their Lord and Savior. He wants to keep unsaved people in his kingdom of darkness. 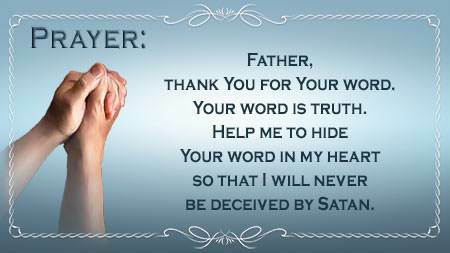 To accomplish his objective, Satan tries to keep people from ever hearing about the Lord Jesus Christ. In the world today, almost two thousand years after Christ died for our sins, there are still millions of people who have never once heard the name of Jesus. They cannot be saved without hearing about the Lord Jesus Christ. 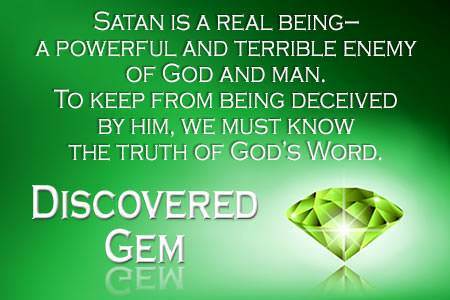 Satan is a great deceiver. 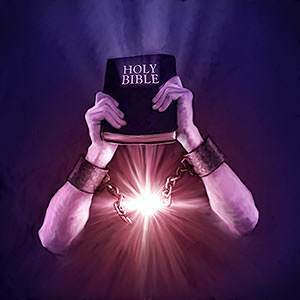 He deceives many people into believing that the Bible is not really the Word of God. He does not mind if people think of him as an imaginary character and laugh at the idea of his being a real person. He does not mind this because it suits his purposes very well. How does Satan deceive these people? He deceives them through false religions. Satan deceives millions of people into putting their trust in their own good works, or in their church membership, or in some church ordinance or ceremony instead of putting their trust in the Lord Jesus christ who died for their sins. Not only those who are very wicked will be lost but the "fearful and unbelieving" will also be lost.